Sometimes I feel like the humble side dish gets a bad wrap. You know what I mean. So many times we just throw something on the plate to compliment an amazing entree, but what if it could be more? What if a side dish was so flavorful, so filling, yet amazingly simple, that I dare say it could be a meal all on its own. 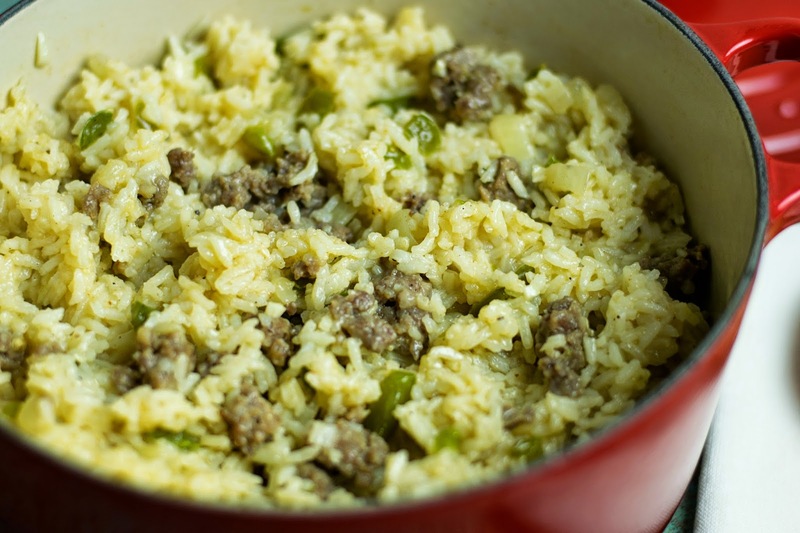 Well that side dish exists my friend, and it exists in the form of my Perfect Dirty Rice. Though it only uses a few ingredients, this recipe will rock your socks! I can't wait to show you how I make it so let's get started! To begin I like to get all of my prep work complete. I chops all my vegetables and measure out any ingredients. Next place a pot over a medium/high heat. Allow the pan to get hot. Once the oil is hot add the green pepper and onion. Allow the vegetables to cook until the become soft and translucent. When the vegetables are soft and translucent add the garlic. Cook until you smell is coming from the pan. Now you can add the sausage. Cook until no longer pink and browned. Stir until everything is coated in the seasoning. Add the rice to the pot. Bring to a boil, lower to a simmer, cover, and cook for 15-20 minutes until all of the water has been absorbed. Fluff with a fork and there you go. Now this may not look like a lot, but I promise you that this simple side is PACKED with flavor and your family is guests will be talking about it all night! You better have a couple recipe cards ready, because someone is going to ask for it! 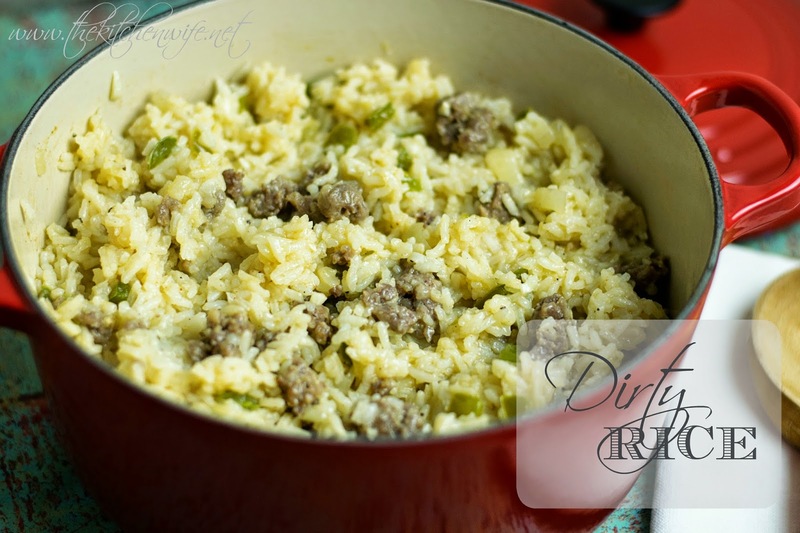 So the next time you have the side dish blues give this Perfect Dirty Rice a try! You will be so glad you did! Place a pot over a medium/high heat. Allow the pan to get hot. Next add the salt, pepper, and Cajun seasoning. Stir until everything is coated with seasoning.